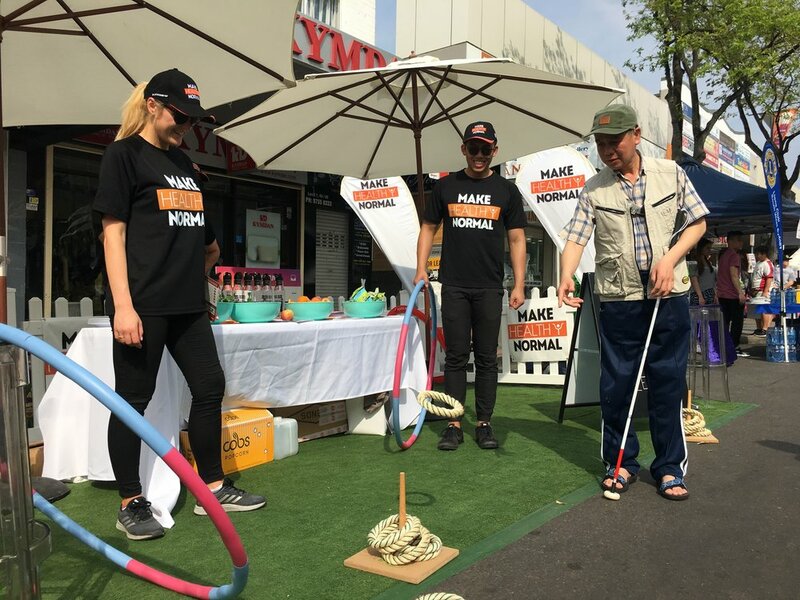 Over the weekend, NSW Health took the Make Healthy Normal Zone to the Cabramatta CBD at the Moon Festival 2017, having welcomed and entertained about 1,500 people with simple and fun outdoor activities to promote active living and healthy eating. Cultural Perspectives is proud to be part of the Make Healthy Normal campaign team, bringing it further to the multicultural audience. The Zone has attracted many festival visitors with totem tennis, soccer, quoits and hula-hooping, offering many healthy snack options on site; and our staff handed out nearly 1000 cards and 600 Chinese and Vietnamese cards telling the messages that small changes can make a big difference to people’s overall health. Since Cabramatta has long been known as a Sydney suburb with a large population of people who were born in Vietnam, we’ve made the campaign flyer in Vietnamese to better communicate with our audience. Mr Tuo Tao, an accredited practising dietitian and Make Healthy Normal ambassador, acted as our health expert in residence and took questions from the festival visitors on how to choose healthy food. Hope everyone at our Make Healthy Normal Zone had fun and will be able to make some positive changes for a healthy life! www.makehealthynormal.nsw.gov.au for helpful tips and resources. Older PostBeach Soccer Tournament Returns to Coogee Beach this Sunday!